در شروع کار در الگوهای نمودار، نویسنده ی کتاب توصیه های آسانی برای انجام در رویکرد نگاه کردن به نمودار ها و ایجاد کارآیی آنها برای شما در تجارت ارائه می دهد. این اشتیاق او است؛ که احتمالا پس از خواندن این کتاب اشتیاق شما نیز خواهد شد. یک اجبار برای رفقای تکنسین! Chart pattern analysis is not only one of the most important investing tools, but also one of the most popular. Filled with in-depth insights and practical advice, Getting Started in Chart Patterns is designed to help both new and seasoned traders profit by tracking and identifying specific chart patterns. Expert Thomas Bulkowski opens with a basic discussion of chart pattern formation and how bad habits can hurt trading. He then moves on to introduce over 40 key chart formations as well as numerous trading tactics that can be used in conjunction with them. Readers will benefit from the specifics (actual trades with dollar amounts) outlined throughout the book and the frank discussions of how trading behavior can affect the bottom line. Anecdotes from Bulkowski’s own trading experiences are also included to shed light on how one of the best in the business goes about trading with chart patterns. His best selling books have been translated into multiple languages. Over one hundred of his articles have been published in Active Trader; Stocks, Futures and Options; The Technical Analyst; Traders’; The Trader’s Journal and Technical Analysis of Stocks & Commodities magazines. 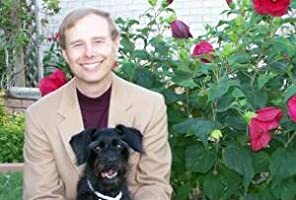 Before earning enough from his investments to retire from his day job at age thirty-six, Bulkowski was a hardware design engineer at Raytheon, a senior software engineer for Tandy Corporation, and a software manager for Tracor-Westronics. He was the president and charter member of the Keller Writers’ Association, vice president of membership and later treasurer of the Keller Chamber of Commerce, chairman of the Keller Parks and Recreation board, president of Keep Keller Beautiful, and vice president of the Friends of the Keller Library. He authored the Keller Recycling Task Force report and Park System Study for the City of Keller. He enjoys writing fiction, chasing cars with his bicycle, watching flowers bloom in his gardens, woodworking, photography, and reading. تمامی کتابها به صورت پی دی اف می باشند. متن فایل های پی دی اف قابل کپی نمی باشند، اما می توان پرینت گرفت. بلافاصله بعد از خرید لینک دانلود برای شما نمایش و ایمیل خواهد شد. ضمن آنکه در کنترل پنل خود می توانید آنها را برای همیشه داشته و دانلود نمایید.